USA, Florida: JEA, Jacksonville utility company, has used a helicopter to deliver a power transformer to Liberty Street and replace the transformer which was damaged when a large section of South Liberty Street in downtown Jacksonville collapsed into the St. Johns River more than two weeks ago. 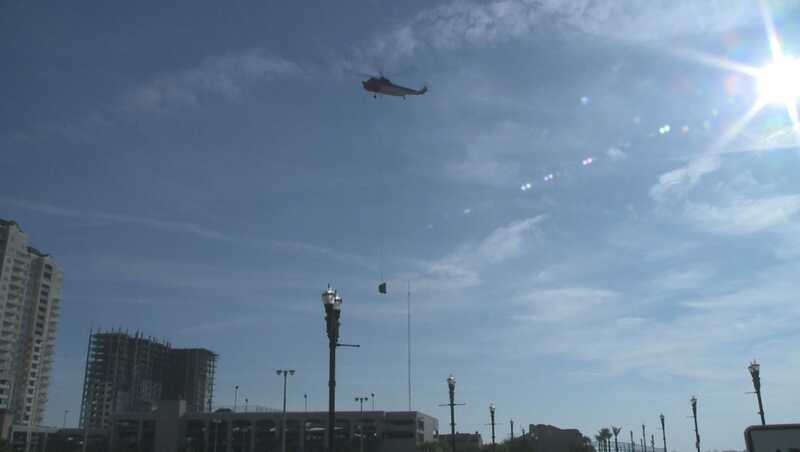 Due to structural concerns of the bridge along Liberty Street, instead of using a crane to replace the transformer, JEA used a Sikorsky S61N chopper to airlift the new 1000 kVA transformer from the Shipyard property after it had removed the damaged transformer, reports Action News Jax. The transformer weighing just over 3 tons was strapped to a cable that flew under the helicopter. The emergency action restored power for twenty homes that had been without electricity since 1 February.